We seem to be on a Jif Rift lately. Part of it has to do with Jif ads on TV. They’re continuing to use the outdated, old fashioned choosy slogan that further validates they are the “Washington Redskins of Ad Slogans” (refusing to change when others say they need to). Their new ads during prime time bring back the unpleasantness into the limelight once again, so in effect they’re creating their own problems. Another complaint has to do with their blatant snubbing of our inquiries. We’re simply trying to chat with them via Twitter, but they’re flat-out ignoring us. 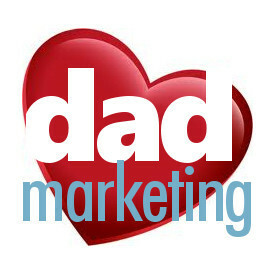 Herein lies the principal reason we were formed – to stop dad exclusion in marketing and advertising. It doesn’t matter how good a product is, if Jif doesn’t even listen to its consumers (i.e., dads), they’re not maximizing their potential. Period. 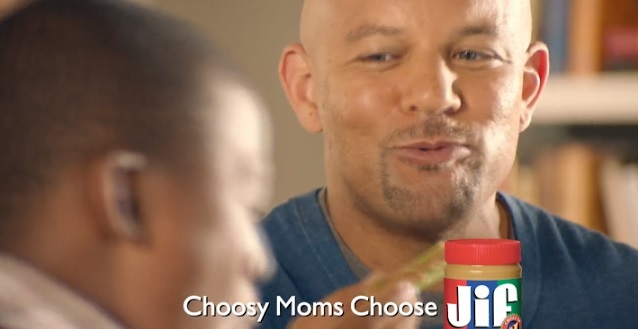 Odd as all that may seem (and believe us, Jif continues to get more odd everyday as they press on with this ridiculous slogan in today’s world), the fact they added their only-audible, non-print dad-add-on, “Choosy moms and dads choose Jif,” makes things even more peculiar. As if this quote wasn’t enough, notice the image featured in this blog post. Doesn’t the photo make Jif look like a confused company when coupled with their slogan? And as we pointed out on July 17, this silly add-on only draws more attention to the fact that Jif has excluded dads for a long time. It’s been 56 years since Jif was introduced in 1958, but it’s not too late. Jif, please make things right and be a brand of the future, not your past – because as we consumers see it now, your past is your present.